Starting with BCS #90 next week and continuing with BCS #91, March is BCS Science-Fantasy month. 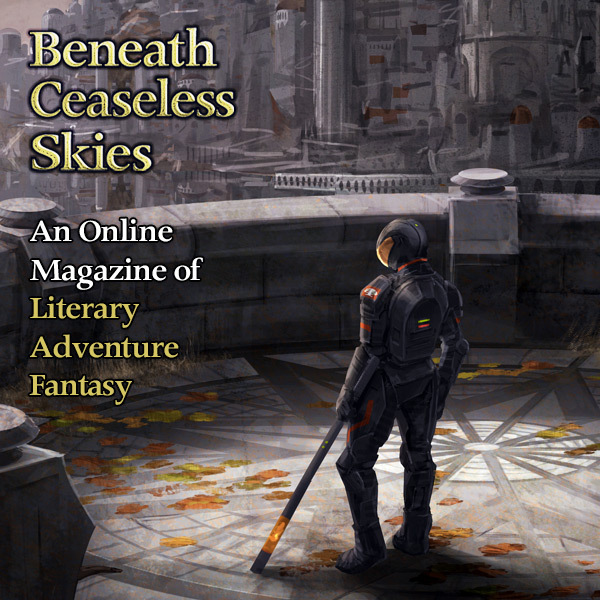 We will have two issues of all-new science-fantasy stories by authors such as Chris Willrich, Megan Arkenberg, and Yoon Ha Lee. We’ll also have science-fantasy audio fiction podcasts, cover art, interviews with all the authors, and giveaways where you can win a signed copy of George R.R. Martin’s Jack Vance tribute anthology Songs of the Dying Earth.